Logistics and technology go hand in hand. While the global supply chain has been around for eons, it was the powered engine, the container box and computers that make our world more connected and more efficient than ever. The connection between technology and logistics is irrefutable. 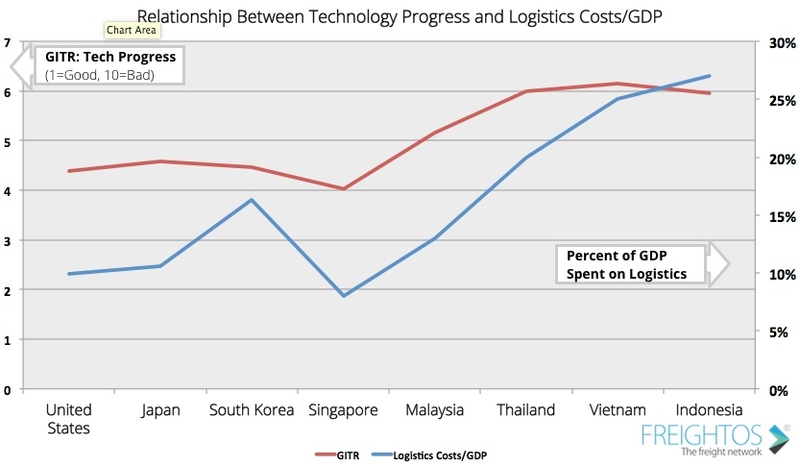 There is almost a direct combination between a country’s technological progress and the percent of its GDP is spends on logistics (R=.9, for those math geeks out there). The better a country’s computer network, the more efficient transportation costs are. Every year brings with it new innovation. It’s only been 20 years since the first web browser was invented but today 3 billion people browse the internet. It’s only been 70 years since the invention of the shipping container but today global container capacity is somewhere in the vicinity of 35 million TEUs. 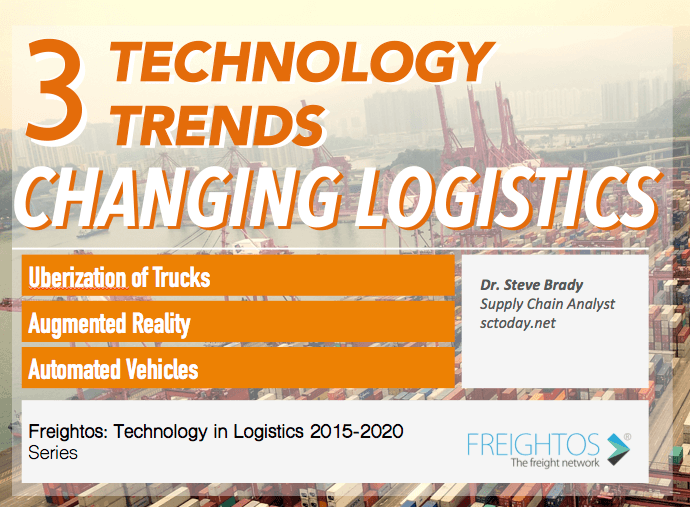 The Freightos Logistics and Technology Trends: 2015-2020 series. As technology progress continues at breakneck speed, we decided to ask some supply chain experts what they believed the top 3 technology trends that would define logistics and the supply chain from 2015-2020 are. 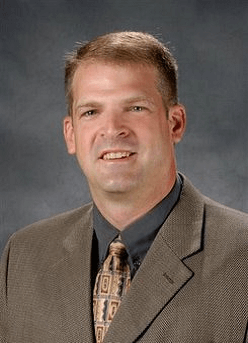 Our first supply chain consultant is Dr. Steve Brady, the CEO of Supply Chain Innovations Today, a leading supply chain consulting firm, a former Operations and Supply Chain professor at Penn State University and a popular online blogger on multiple sites, including eft.com. What role will this play in supply chains: The ability to “see” things that aren’t there will inform operations. Why is this so important? Google Glass has opened our eyes (pun intended) to the possibilities that exist for providing richer information to improve our operations. Whether it is enhancing pick operations in a warehouse by “showing” what is to be picked, or providing the history of an item being viewed (think, maintenance/driving history on a vehicle), or delivering “on demand” instructions for maintenance operations in the field, the concept of an augmented space is transforming supply chains. What role will this play in supply chains: Think Google Car – but in trucking. Truly maximizing delivery capability, although this trend’s fulfillment is still 10-20 years away. Why is this so important? As mentioned before, the “deadhead” problem has wasted miles, and fuel, and drivers hours. Imagine if we can not only find the next closest pickup but that we are able to have the vehicle operating nearly autonomously 24 hours/day. This applies to not just the “big rigs” but to regular delivery vehicles. A delivery can go out for Home Depot, and then the next delivery may be from a sub sandwich shop, or Best Buy–or even delivering packages to FedEx or the post-office from a residence. The opportunities here are truly endless.